Clumps of deeply divided leaves. Wiry stems with cream stubby plumes, May to June. 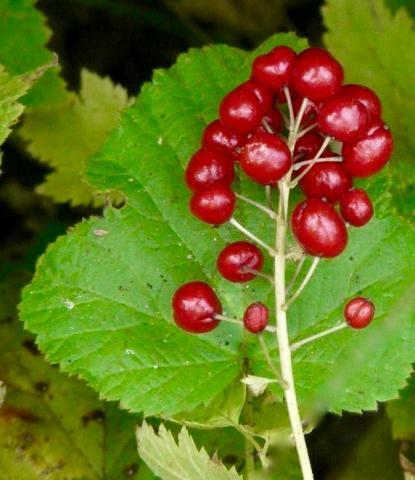 Most attractive for their plump red berries in clusters aloft the foliage in the autumn. Semi shade. 80cm tall. Does not like to dry out.